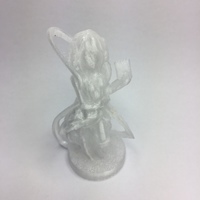 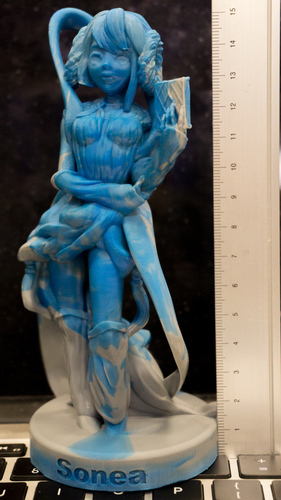 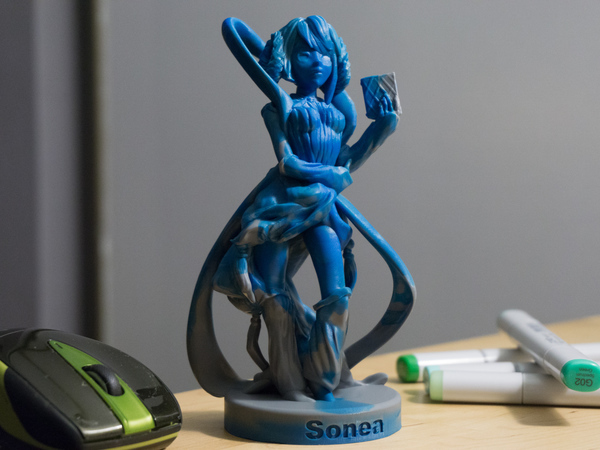 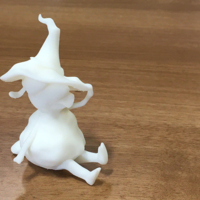 Sonea was printed on a prototype DLP printer (NOT the B9 creator) at 100micron resolution. 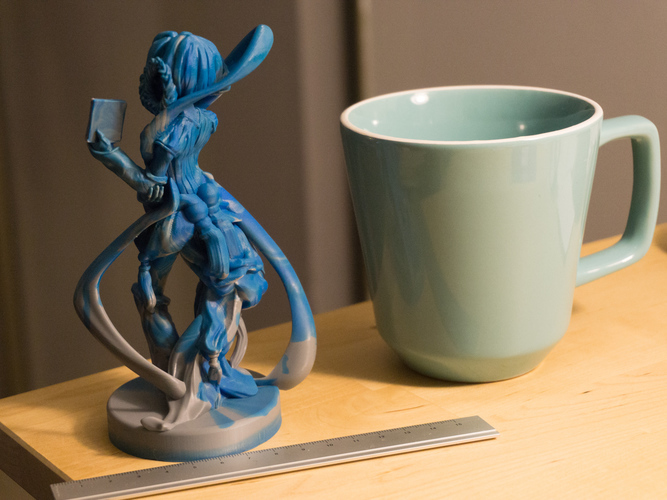 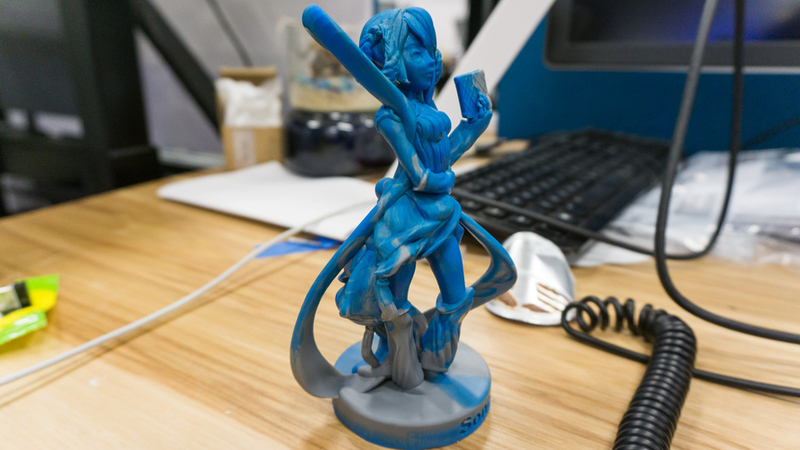 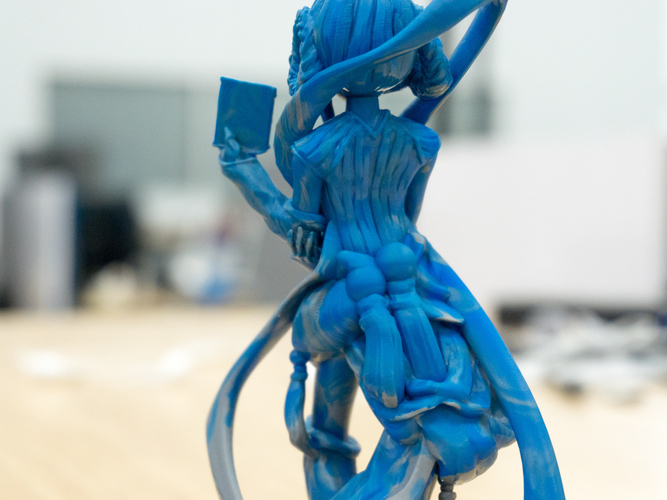 I initially miscalculated the total amount of resin required, and then realized mid-way through the print that I didn't have any more gray resin, which is why she's half gray and half blue. 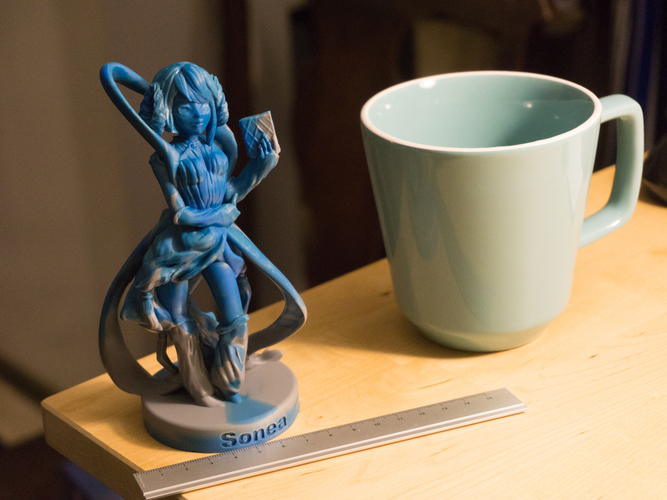 She is self-supporting!! 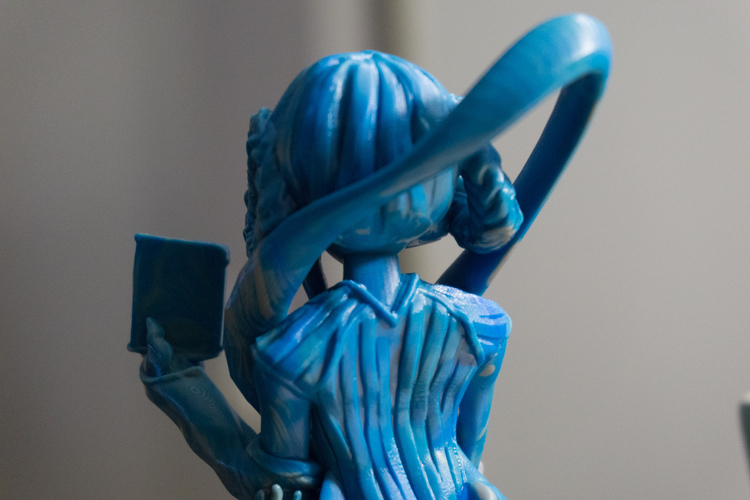 (Well, mostly) Read the original print description for details.